This gorgeous Mediterranean beauty has it all! The amazing granite & stainless steel gourmet kitchen is an entertainer's delight. Massive granite slab center island with 2 farm sinks, 2 trash compactors and blt in bar stools. Fabulous top of the line commercial gas stove and hood, blt in fridge & freezer, additional ice maker, solar tube lighting, baking center & more. Master has its own private shady veranda overlooking the gorgeous pebble tech pool w/ lifetime zealite filter. The huge Master bath is light & bright with his/hers walk in closets, walk/in shower and the jacuzzi tub is for her! There is a guest wing with it's own privacy and bath. Bring along the inlaws to enjoy the attached 460 sq. ft. Studio with its own bath, or use it for an office, a finished 3 car garage + huge approx. 870 sq. ft. RV/boat garage, or shop. There is also a 4 stall horse barn & sandy arena. 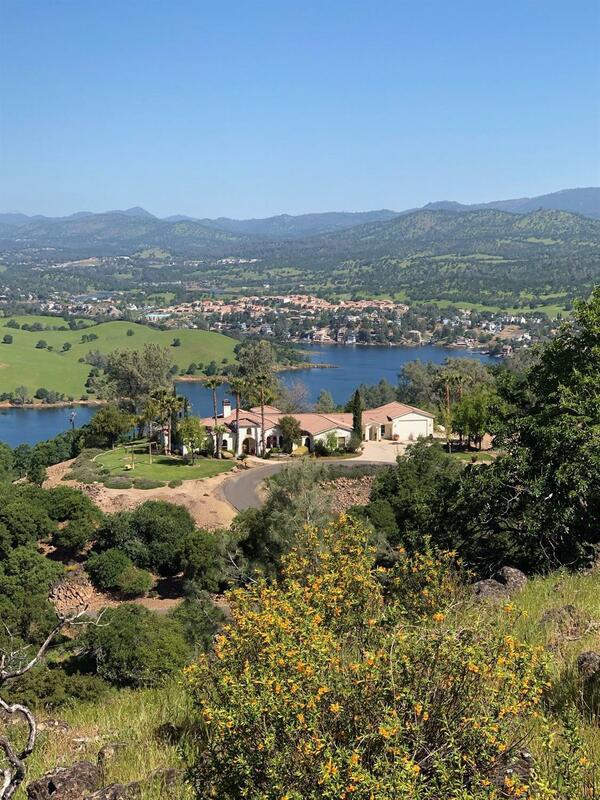 All of this nestled on almost 10 acres overlooking gorgeous Lake Tulloch. Enjoy your boat slip/gated living!